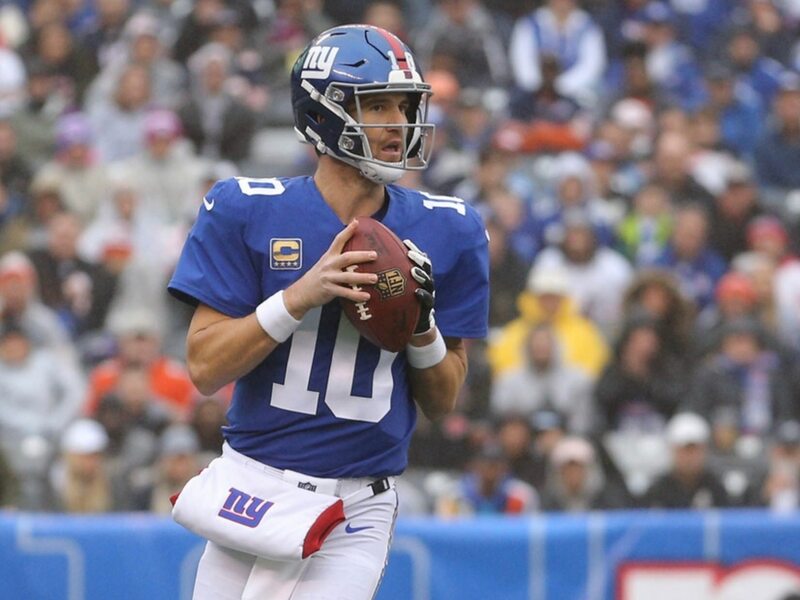 Despite plenty of evidence that Eli Manning is a fading star, the New York Giants reportedly are more than likely to keep the veteran under center in 2019. Big Blue currently holds the No. 6 overall pick in Round 1 this April and is one of a handful of teams that could strongly consider moving up to No. 1 or No. 2 in order to secure the top passer in the 2019 NFL Draft. This year’s draft class is widely seen by most who study college players as a very poor class to try and land a quarterback outside the top tier — that, being mainly Dwayne Haskins, Drew Lock and potentially Daniel Jones. No matter who is under center this next season in New York, the Giants must continue to bolster their offensive line, which remains problematic. During the 2018 campaign, the Giants went 5-11 with Manning, who passed for 4,299 yards with 21 touchdowns and 11 interceptions.